Welcome you to Brest Business School (Ecole Supérieure de Commerce). 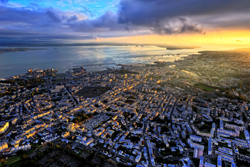 Founded in 1962, Brest Business School is a fully accredited institution by the French Ministry of Higher Education and Research that provides management education to some 800 students. Our B. School is a world-class research and teaching institution, a vibrant center of academic engagement and excellence that provide English-taught management courses to its students and proudly caters to the needs of Brittany-based companies in terms of Executive education. 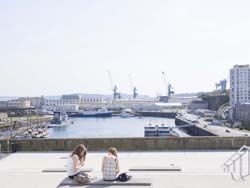 Brest Business School has a long-standing tradition of cooperation with European and international institutions and our School is also an active member of many international associations or programs such as: the ERASMUS + scheme, AACSB International (Association to Advance Collegiate Schools of Business), CLADEA (Consejo Latino Americano de Escuelas de Administración), EAIE (European Association for International Education) etc. Being open to the world is one of our fundamental values and we are very proud to welcome international students from all over the world to our B. 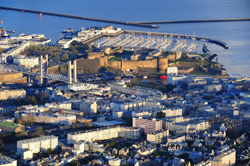 School and its two campuses Brest and Vannes! This website will give you some useful information and key contact persons to prepare your exchange or degree-awarding program. Feel free to contact our International Office should you need additional information about your future stay with us.